Lilac Anime Reviews: Dub Talk: The 2015 Dubbie Awards! Dub Talk: The 2015 Dubbie Awards! 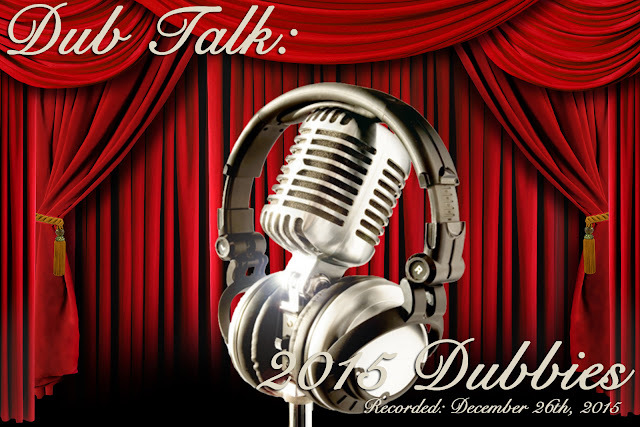 2015 is just about to end, but the hosts of the Dub Talk podcast have one more episode up their sleeves! Today, Steph, Hardy, and Megan discuss their favorite english dubs to come out this year with the first ever Dubbie Awards! There will be cheers, jeers, and the possible destruction of Hardy thanks to Ghost Pimp!